Croatia’s second biggest city is lively, chaotic and built around the ruins of the Roman Emperor Diocletian’s former residence. Although it's often used as a launch pad for Croatia’s many islands, with more than 2400 years of history, Split is much more than a quick stopover. 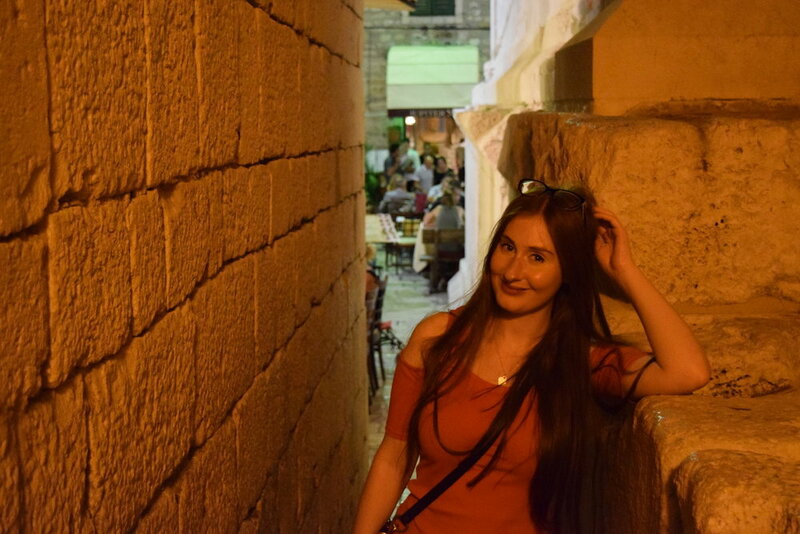 If you like being (literally) surrounded by the past, great food and a bit of beach on the side, I can almost guarantee that you’ll love Split as much as I do. 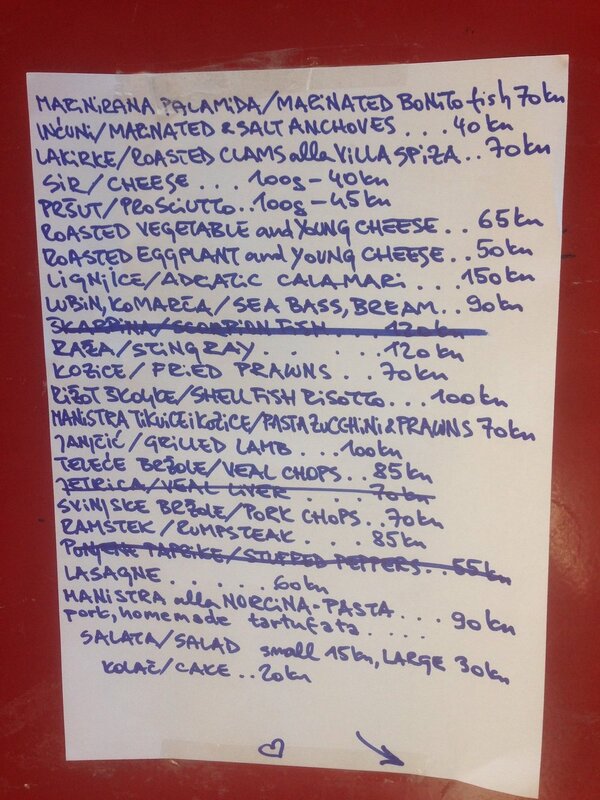 But what should you expect, what are the must sees and where should you eat? Here are a few suggestions. Ahh Diocletian, the Roman Emperor who built a giant residence on Split’s harbour in the 4th century for his retirement, only to live there for a mere three years before dying. Due to its palatial size and décor it’s become known as Diocletian’s Palace – although it was never actually a palace. And today it’s still not a proper palace that you can buy tickets for or visit to find out more about Diocletian. Instead it’s a labyrinth of ruins and streets that make up about half of Split’s old town. It’s full of crowds of people, restaurants, bars and shops and to be honest it’s pretty magical. Just outside the north gate of the palace is a statue of medieval bishop Gregory of Nin, who opposed the Pope and introduced Catholic services in Croatian (as opposed to Latin). As with all these types of statues, rubbing his toe is meant to bring good luck, but you’ll have to fight a crowd of tourists to do so. Interestingly the statue was once located in the Peristyle of Diocletian's Palace (its central square), but was moved to its current location by occupying Italian forces during WWII (presumably to protect it, but if anybody knows otherwise please correct me). 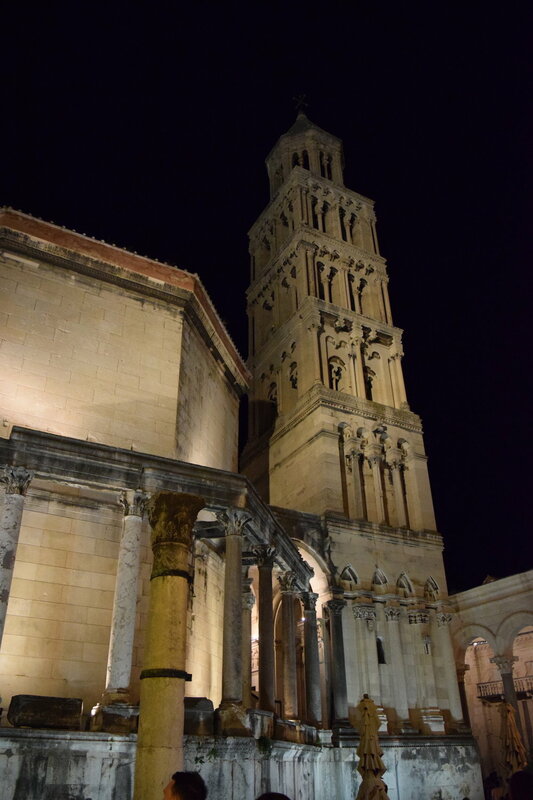 The Cathedral of Saint Domnius, known locally as St Duje, is one of the oldest Catholic churches in the world and the ironic resting place of Diocletian himself. Why ironic? Well Diocletian, who during his life encouraged the widespread persecution of Christians, was buried in a mausoleum in this spot. Only later was it reconstructed into this beautiful cathedral named for Saint Duje, who is the patron saint of Split and who also happened to be martyred by the one and only…Emperor Diocletian himself. This temple was built as part of the palace between 295 until 305 AD by Diocletian as homage to the Roman God Jupiter (who Diocletian considered to be his 'divine father'). A creepy headless sphinx imported from Egypt sits outside, guarding the entrance. While you’re there, also check out the tiny street next to the temple, referred to as the ‘Let Me Pass’ street due to its one-person-at-a-time width. The vestibule was one of my biggest ‘oh wow’ moments in Split. Once the entrance to Diocletian’s apartment, at some stage the domed ceiling collapsed leaving an open-air circle, which is magnificent at night when the stars are out. I think this is actually just outside the palace (don’t worry, at the very least it's nearby in the old town), but this fountain will make you laugh if you walk past when it starts without knowing it’s there. 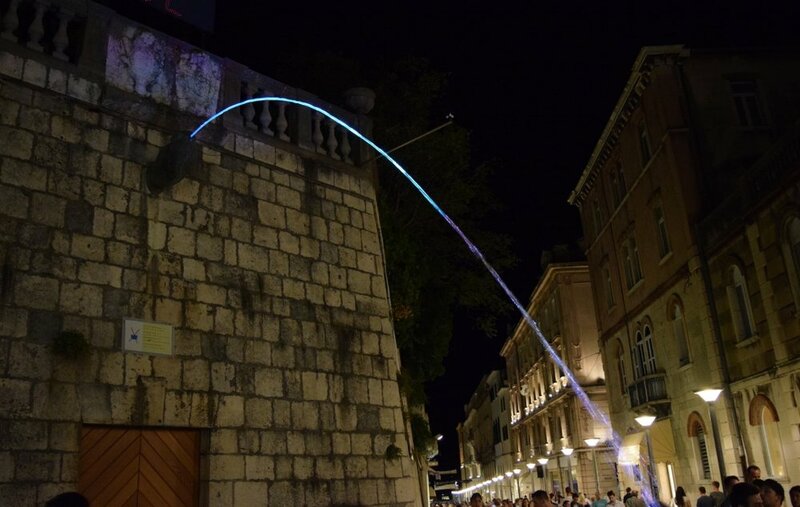 It’s a sculpture of a hand in a wall that sporadically spits water into a funnel below. If you’re walking past, the sudden jet of water can come as quite a surprise (believe me!). At night you can spot it because it’ll have a crowd of people around it and will be lit up with different coloured lights. Worth a look (and makes for a cute pic). In my opinion, Villa Spiza has the best food in Split hands down. Due to its popularity and size (it’s tiny and only seats about 15 people) you can’t make reservations. But as long as you get there early (a tad before 6pm) you won’t have to wait long. Plus you can grab a glass of wine or beer in the small alley outside and people-watch while you wait. You’ll find the handwritten menu, which changes on a regular basis depending on what fresh seafood and produce is available, stuck up on the wall outside. They only offer one or two desserts each day, but if the fig cake is on the menu make sure you have a piece of this luscious mix of honey, walnuts and fresh figs baked together with a lemon yoghurt sauce. But what makes Villa Spiza extra special is the experience as a whole; you feel welcomed into a Croatian home (it’s a family run business) and they’ll joke and have fun with you all night. One caveat is that as it ranks highly on TripAdvisor it is very touristy – but hey – nearly everywhere is packed with tourists in Split’s old town. 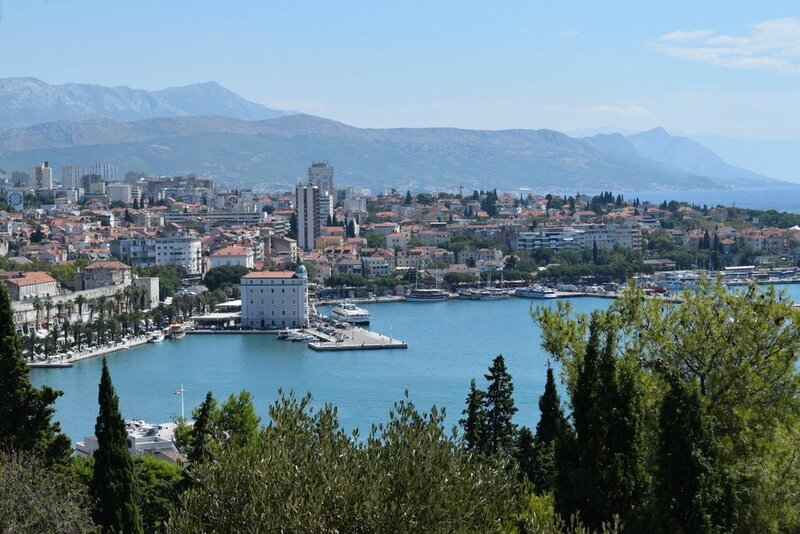 For the best view in Split head up to Marjan Hill, a park that overlooks the city and stretches 3 kilometres long making it a quiet oasis for locals to escape the chaos of the old town. To get to the top follow the stairs that are located just behind the Church of Sveti Frane in Varoš - look for the white and green "Marjan" sign. It only takes about 5-10 minutes of climbing to reach the top for sweeping coastal and city views. If the weather is good, keep going up the slope to explore the rest of the park, with its many medieval little chapels and scenic lookouts. At the back of Marjan is my favourite beach in Split, Bene (see below), and a spot to hire bikes if you’d prefer to get around on wheels. Bene Beach is one of the shadiest and quietest beaches in Split, tucked away at the back of Marjan Park. It’s easy to get to on the number 12 bus or by walking around the back on Marjan via Mandalinski Put. I find Bene a lot less touristy than most of the other beaches in the area and a perfect day trip if you want to sit back and relax with a book. When I’m travelling I try to eat at least one ice-cream a day (for research purposes of course.) Although not quite up there with the best of the best, Luka Ice Cream is very good. The best part about Luka is its unusual flavours like watermelon, honey and lavender, and mojito. Luka is located just outside the prettiest part of the old town, so grab your ice-cream and walk back down toward the palace to find a more interesting place to sit and watch the world go by while you eat. Veli Varoš is one of Split’s oldest suburbs. It sits between the palace and Marjan hill – so you won’t have to go out of your way to see it. Walking around here will give you a chance to see the locals living their daily lives. You’ll see kids playing after school, oldies sipping beers outside cafes, cats sleeping and beautiful old chapels and buildings. Worth a look to briefly escape the hustle and bustle of the palace and a good place to stay if you’re an Airbnber (like me), as there aren’t many hotels in the area.